Happy Saturday! After a few days dealing with the polar vortex we’re supposed to have two days in the 50’s now before the cold sets back in! Sounds like a typical Nebraska spring! Today I’m sharing the best Super Bowl weekend sales. ANTHROPOLOGIE is offering an additional 40% off sale items! No code required and prices update at checkout. You can see all of their sale items here. BANANA REPUBLIC is offering up to 50% off must-have styles and an extra 60% sale styles! Plus if you’re a cardholder, you can get an extra 10% off your entire purchase. Shop the sale here. J CREW FACTORY is offering up to 60% off tons of styles, plus an extra 25% off wear-now winter picks and an extra 50% off clearance with code SNOWY. You can shop their sale here. LOFT is offering 40% off full-priced sweaters with code LOVE. You can shop their sale here. TARGET is offering up to 25% off home items. Shop the sale here. WEST ELM is offering 25% in stock items and free shipping with code SENDIT. It’s a great time to get faux greenery like this faux palm stem or faux fiddle leaf fig stems! You can shop their sale here. 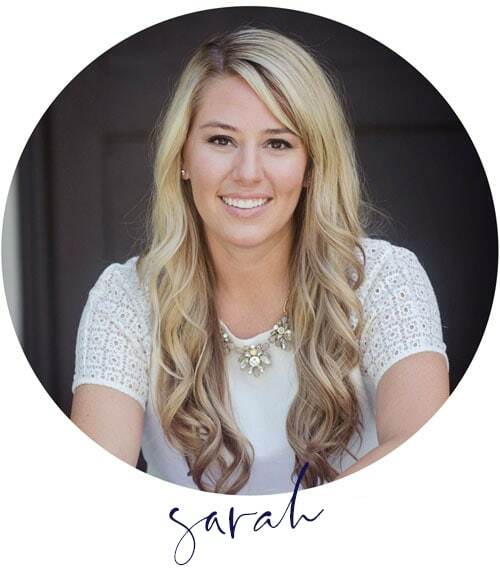 I found your blog as a recommendation from Bloglovin’ and I am having so much fun looking around this inspiring space. 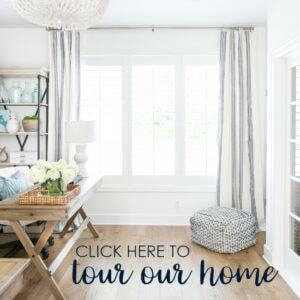 Your home tour is just gorgeous! 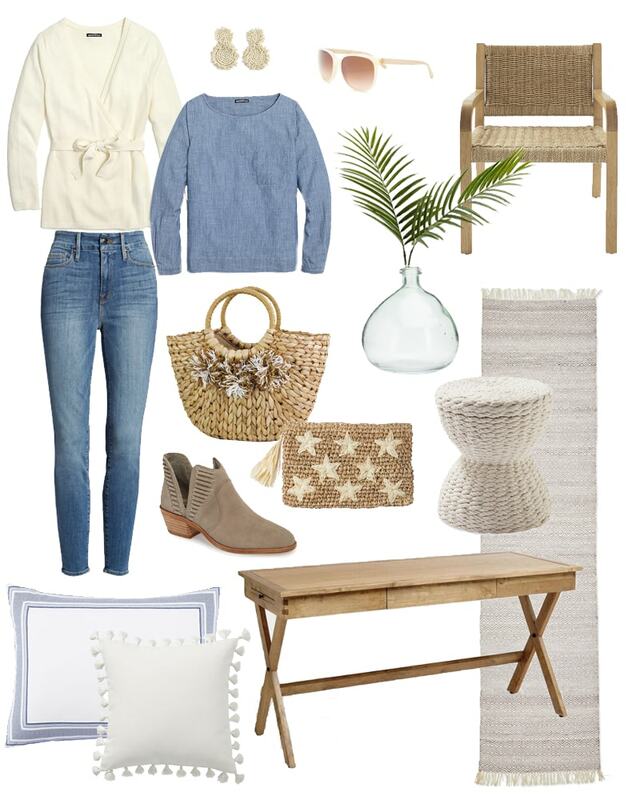 I LOVE the mix of traditional paired with distressed beachy vibes. And the blue touches that tie it altogether… dreamy! Truly inspiring! I can’t wait to read more. So happy to hear you enjoy it! Thank you Felicity!